First attracting attention as a familiar face in the films of the New German Cinema of the ’70s, Austrian-born Peter Kern later became a prolific director and documentarian in his own right, often using film to express his outspoken views about sexuality and class. The German weekly Stern is reporting that Kern died Wednesday at a hospital in Vienna following a long illness. He was 66. 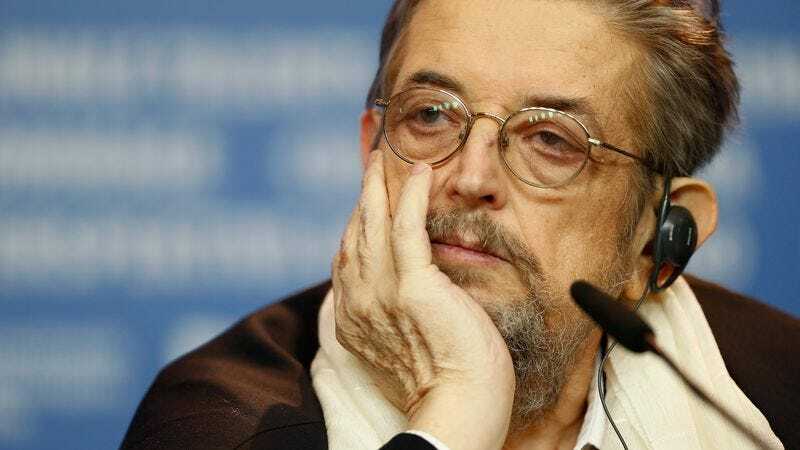 Raised in a working-class Communist family in Vienna, Kern sang in the Vienna Boys’ Choir as a child and began acting professionally in the late ’60s, just as the New German Cinema was taking off. Originally a stage musical actor (his big break came in a touring production of Hair), Kern went on to work as an ensemble player for the likes of Rainer Werner Fassbinder, Wim Wenders, and Hans-Jürgen Syberberg, for whom Kern often played multiple roles, most notably in Syberberg’s seminal, seven-hour Hitler: A Film From Germany. Though best known abroad as a character actor, the heavy-set, curly-haired Kern had his share of star turns, including Walter Bockmayer’s Flaming Hearts, which won him the German Film Award for Best Actor in 1978. Starting in the early ‘80s, Kern became more focused on writing and directing, ultimately producing more than two dozen features and documentaries. Openly gay at a time when few people were, Kern often made sexuality and gay rights the subject of his work. His most recent film, The Last Summer of the Rich, premiered at the Berlin Film Festival earlier this year.